This is a new edition of ye olde rustacean t-shirt. This iteration of Ferris the crab (unofficial mascot for the Rust programming language) has been slightly redesigned for enhanced cuddliness and 12% more cuteness. The shirt has printing on the front only, which reduces the price a bit as well. This campaign comes in both men's and women's-cut t-shirts, in both the Teespring house brand and super-soft American Apparel tri-blend. Also now we have colors besides just black! Three shades of blue and a nice heathered cranberry shirt are also available. 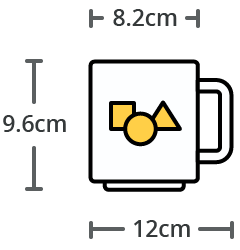 And one more thing... Teespring has mugs now! So if you've ever wanted your cozy warm beverages adorned with a cute crab, now you can.